However, I thought about this quote as it’s something one of the Cambodian Emerging Writers Prize co-winners – 19 year old Seavling Lim wrote on a mural being created with literary quotes around the image of Soth Polin – a Cambodian writer of pre-Khmer Rouge era whose most famous work “L’anarchiste” was published in French in 1980. The choice of quote impressed me at the time but I was equally pleased to see the impact of the fledgling writers festival on a young Cambodian woman and how the idea to have a writers festival began with a visit Channthy and I made to Ubud Writers & Readers Festival not long after forming our Cambodian Space Project. Channthy never had the chance of any schooling, she was born in 1980, into the biggest baby boom in history but as the daughter of an army tank driver, spent the first 20 year of her life in and out of conflict zones, war and poverty. She had two slightly older siblings that both died due to famine in those early years. Somehow Channthy and her parents survived and she later became the mother to brothers much younger than herself as well as sole provider for her family. When I first met Channthy, she had only recently consulted a fortune teller to see if she would be making the right decision by taking on a job in a hostess bar where she might meet foreigners and perhaps coincidently I’d also stopped to consult this same ‘barang’ fortune teller, not because I entertain any belief in fortune tellers but because I was making a film and thought it would be interesting to ask him about himself and his customers. Less than a week later I met Channthy. Channthy and I spent some time together and it didn’t take me long to see that we equally shared a love of music and that she had talents that would only be made more remarkable with some help of a producer – I opted for the job. But it was a brief few days we were together, I was booked to leave Cambodia and it would take at least six months before I had a chance to return. I promised Channthy I would return and I would help her do something with music, whether she really understood my intentions or just saw me as perhaps that ‘barang’ who she needed to meet, I don’t really know. We kept up contact through her use of internet cafe writer/translators and I kept my promise to return. When I did arrive back things moved quickly, it didn’t take long before we were living together, boyfriend and girlfriend, and soon we were writing songs together and beginning on a routine of gigs that begun to attract attention and people who joined our colourful little caravan of song as it began to roll out across Cambodia. Around this time Thy also made sure I took her home to her village to attend a wedding and to meet her family, not least to meet her son Makara. It had been ‘too long’ since Thy had been home to her village, like most poor rural women, she was more or less stuck in the city working to find money to survive and to send home to support all her family. As we rode on a rental scooter from Phnom Penh to Prey Veng, Thy opened up to me more and more about her family and how she missed and worried about her sick mother and her little boy Makara. As we pulled off the highly and navigated the thin sandy tracks between rice paddies toward her remote village, Thy also started to sing me songs, her favourite music and, interspersed this with some basic Khmer lessons…. soon we were both yelling out ‘Sok Sabbay Bong Ko” – hello! brother Cow, “Sousday, Oun Mourn” – Good morning sister Chicken… and laughing and singing the closer and closer we got to her home. Thy told me, “my house…very small” and while I was prepared for what I’d been described – even a ‘barang friend back in Phnom Penh had told me “hey….If yer going to a Khmer girl’s village….It means you’re as good as married mate” … but on arrival, it was very moving to see the overwhelming excitement Channthy had pent up and let go on pulling up in front of her waiting family. Thy soon had her arms wrapped around Makara, hugging and kissing the child, quite a waif, then hauling him over to an ancient water pump to wash and shower her little boy, then just 4 years old. I feel more and more, deeper and deeper in love with Channthy the more I learned about who she was and much because of the way she would communicate and express herself, and despite our lack of linguistic competence, we’d share our love for making up song and storytelling through pictures and, most of all, our very mutual sense of humor. It wasn’t long before we’d find a way of performing together, perhaps clumsily at first but not without much love and laughter. 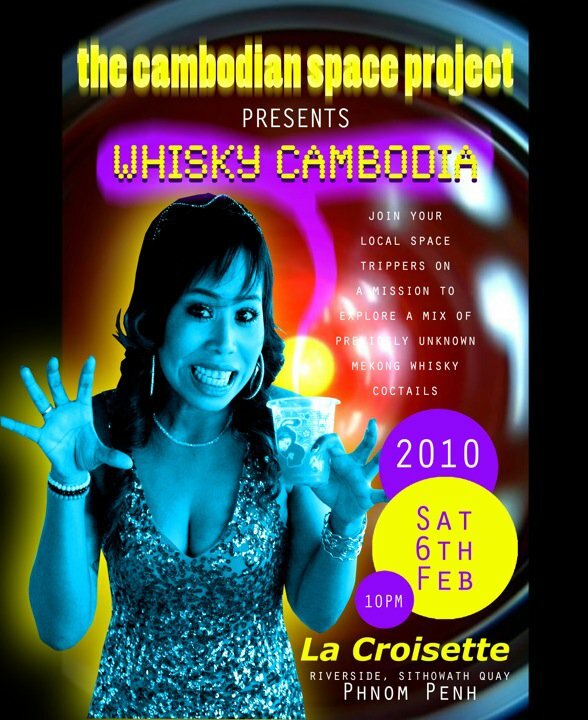 One of the first occasions I sat down to make ‘an actual gig poster’, Channthy looked over my shoulder at the image of the screen and laughed her head off when she saw this design… already using the title of one of our best songs Whisky Cambodia – a song written to describe my first village to Thy’s village. Like many of the things we first created together, I didn’t put much thought into the longevity of anything, it was all for the moment and to celebrate the happiness of being with Thy and having fun. But, at the same time, I was thinking about how we might very well be embarking on something much bigger than those early moments of fun and frolic, there was something much more compelling to consider and think about and that was a ‘future’ not just for me and Channthy but for Channthy and all that she needed and deserved. I could also see, especially with her quick grasp for storytelling through song, that Channthy had the kind of raw talent and intuition that is rare and added to this, our creative partnership would be a thing to nurture and grow. Soon we were joined by others, friends onboard for the ride aboard a mystery train…where it stops? who knows? and off on the road in Cambodia with aspirations of perhaps ‘doing something’… making a record…touring somewhere to another land. By this stage, Channthy was firmly in control of creating and shaping her own image…she was a singer on a mission… and would carefully consider her look – her handmade dresses, photos and poster designs of herself and the way she saw herself – not an alter ego but as a flower that was always waiting to blossom like this, only before it had been kept in the shade and hadn’t the chance she knew it always would. To me, always a keen visual artist, Channthy’s image had become my muse but more so, it was her person, the real, down-to-earth, genuine person who I fell in love with and soon married. We married in Hobart, Tasmania at the end of our first ‘massive’ tour of Australia and while this felt like the right thing for us at the time, there was already cracks beginning to emerge. At this stage we were joined by another person deeply interested in Thy and her image, a german filmmaker who saw the emerging CSP story as a great thing to follow but who’d also become a Channthy confident – not necessarily in a good way – heightening talk that Thy had already worried about…was “Julien just marrying me because I sing song…” Coupled with this there was also worry about her mother who, long suffering TB, was becoming sicker and sicker. 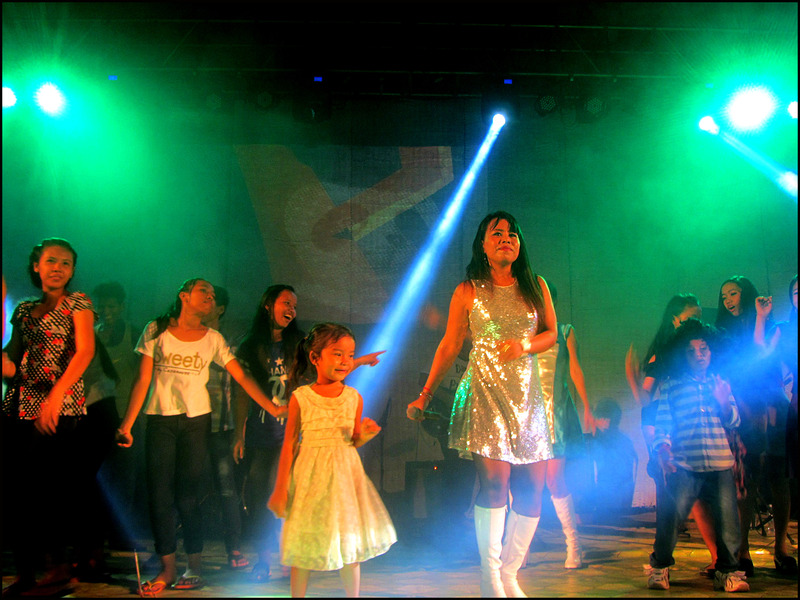 Our schedule had also become one of hectic international travel and get to and perform at all sorts of gigs and events. 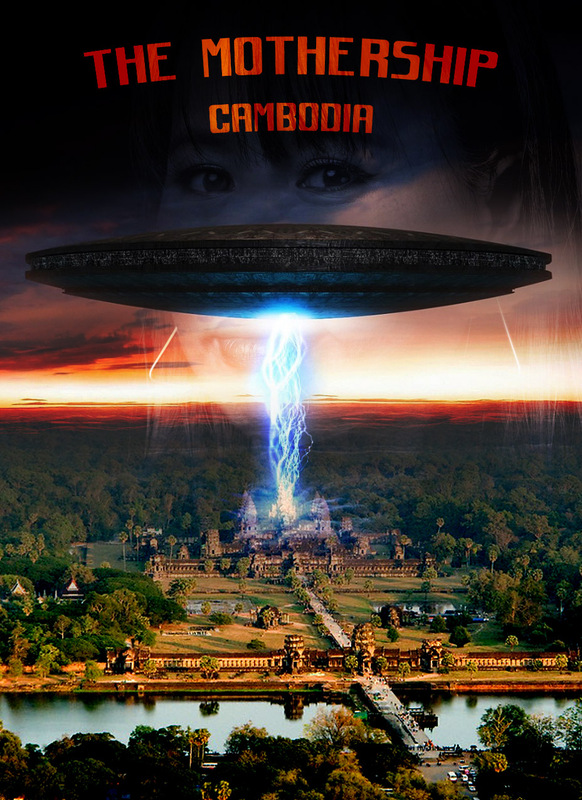 Onwards and upwards with The Cambodian Space Project. That year we recorded our first EP covering 2 Cambodian classics and one of Channthy’s original songs aptly titled “If You Go, I Go Too“. Channthy and I had really found our way together as performers, songwriters, and co-pilots of The Cambodian Space Project but our marriage didn’t last and within 3 years we’d split-up and had almost given up the idea of even continuing to work together. However, we’d also had so much support from many great friends and our musicians that each time a new and awesome opportunity came up to perform, it was all back on and despite times when we could barely talk to each other, we never lost our deep respect and love for one another. But Channthy had to get through the decline of both her parents – the heartbreaking death of her mother then her father less than two years later. Between these years Channthy and I separated but continued to record and tour together. 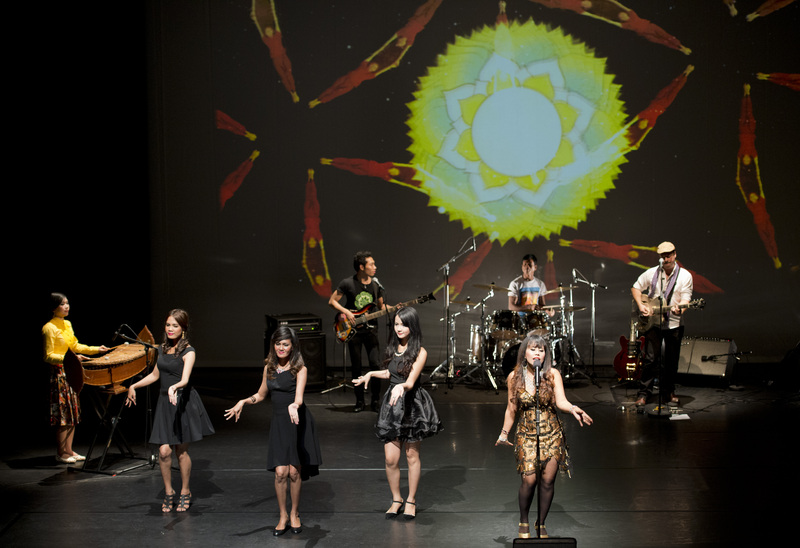 We opened up our Space Project world by meeting and collaborating with many others along the way and the first good example of this was the time we were invited into a special pan-Asian showcase at BT River of Music. The Bamboo Pearl Orchestra – curated by Colin Bass – offered us a chance to work alongside a real ‘mothership’ of styles, sounds and cultures from across South East Asia and UK and for Channthy to see where her own original songs and style would sit in amongst this culturally diverse grouping. Later she would join Sydney based hip-hop group Astronomy Class, work with Dennis Coffey in Detroit, duet with Paul Kelly and add her unique voice and love of French chanson to Bad Seed Mick Harvey’s version of the Serge Gainsbourg song Contact. 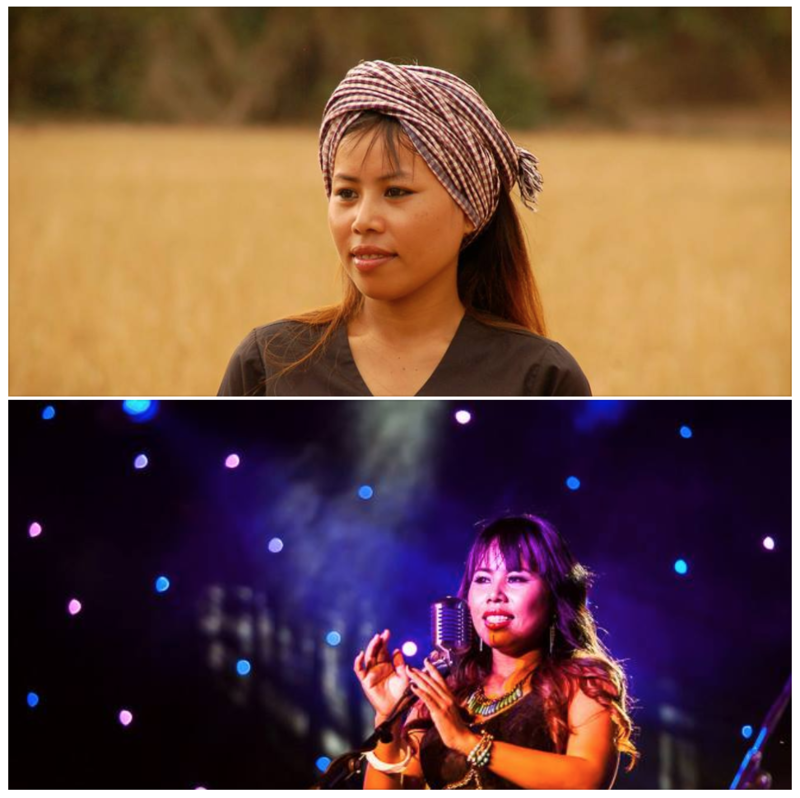 Back in Cambodia, Channthy would return home with all sorts of ideas and stories to add to our local team and broadly into the emerging arts scene here in Cambodia. Always, firmly centre stage and in control of her own image, she’d theatrical create her own story as particularly evident in CSP’s ‘rock opera’ Hanuman Spaceman – a story about a Monkey’s trip to the moon as well as Channthy’s own – autobiographic – take on her journey. 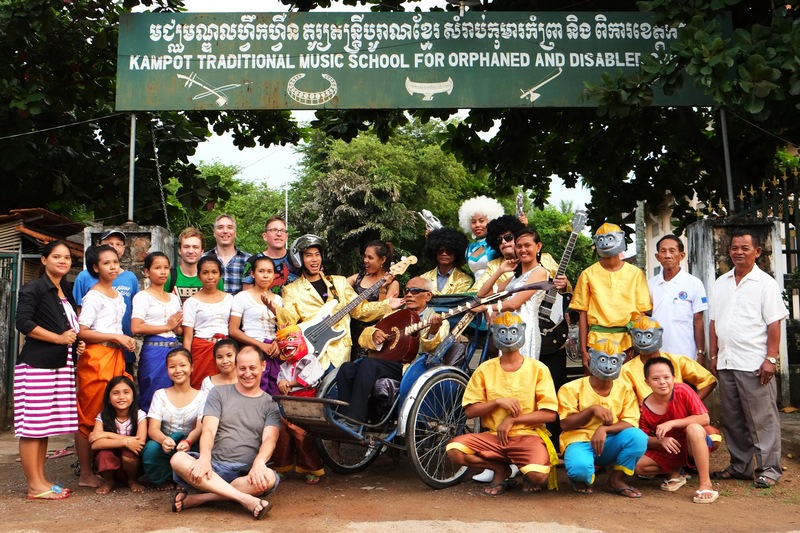 Thy also loved working with Belgian avant-garde theatre director Michael Laub and his team on Galaxy Khmer and through these collaborations, the scope and scale of her ideas expanded. When Channthy died and her death broke our hearts us with it’s unfairness of a life being cut short at such a time when there was so much more to look forward to and give, it was devastating news, unbelievable. 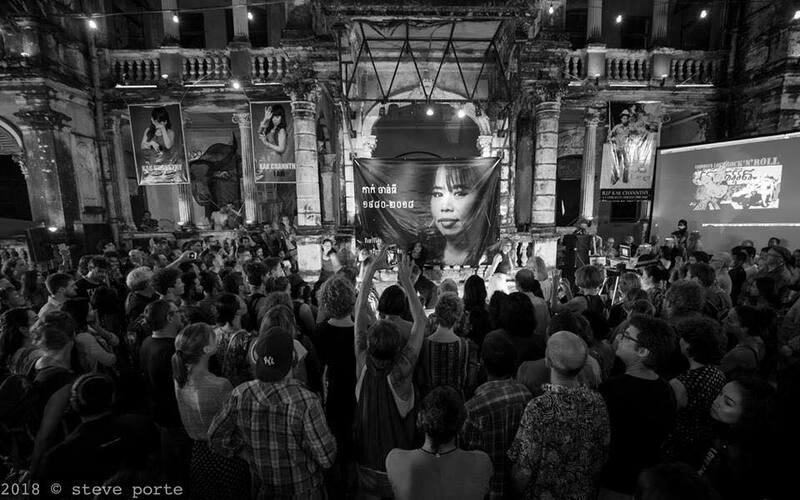 Still in shock, we gathered friends and family together to create a Memorial Concert for Channthy as her death was reported around the world, our friends in Phnom Penh rallied together as best possible and staged an incredible memorial concert. Channthy’s favorite dance troupe NCA let us know that they were on the night bus and had already created a special 12 minute piece in tribute to Thy called Mothership. I wondered if they meant mothership as in Channthy’s role as a Cambodian mother and whether they’d thought of the term’s dual meaning as “a large spacecraft or ship from which smaller craft are launched or maintained.” I had the chance to ask the dancers lead by Srey Nith about a week later, she told me that the piece they’d performed was actually another idea, something they called “7 Hugs” as that is what Thy told them last time they met to say farewell, Thy saw seven people in the group and said they’d need 7 hugs. Still, the idea struck me that The Mothership or The Mothership Cambodia would be the best way to carry forward all that Channthy has given us and create a way that will keep her work with The Cambodian Space Project sailing on through the time and space that we – her musicians, her artists, her family – can continue in her name and in respect of her legacy and all that she represented in life. 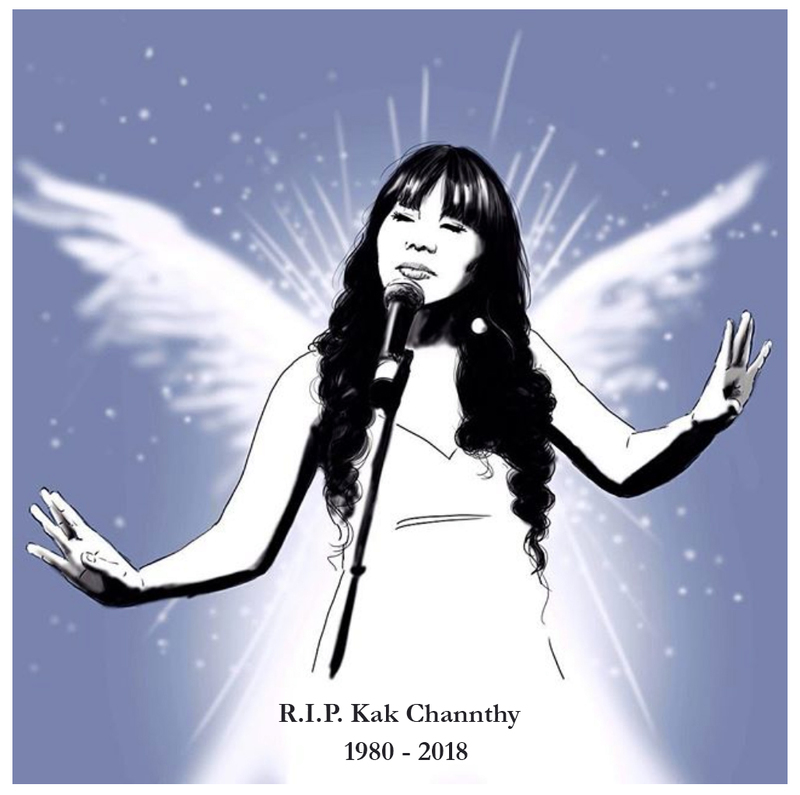 While being widely loved for reviving Cambodian rock’n’soul music throughout the world, Kak Channthy stood for more than just music. Her songs and her story represented freedom for poor and oppressed people throughout the world, social equality, human rights and justice. This will become a vessel upon which we will carry on Channthy’s inspiring work into the future and pay tribute to her immortal legacy. Channthy life and music is a gift to the work and The Mothership project strive to create and present new music and events that can bring ongoing support to Channthy’s family. The Mothership will work to represent all that Channthy embodied and stood for – the poor and oppressed, women’s rights, asylum seekers, human rights, freedom of speech, education, arts and culture. This concept – Channthy’s Mothership – will take time to create and make as beautiful as she would have hoped but it is important for all of us who have loved Channthy and have been part of her incredible life in art and song to make sure this will be something respectful and brilliant and even more so, as a platform, a studio band “wrecking crew” to create music for singers from disadvantaged and poor backgrounds – to give a voice to the voiceless. As one of our team said upon the suggestion of name “Let’s make this the Mother of all motherships. The Matriarch ship. If there are people in the world who haven’t yet heard of Kak Channthy, they’re sure going to know about her now”. While this is a admirable thought and something I hope will become possible and true, it’s still going to be difficult – for me personally – too sad to imagine being on stage without Channthy but she would have said it herself “keep going” and on that note, I think of another Horace quote that seems to fit the challenge Channthy has left us.